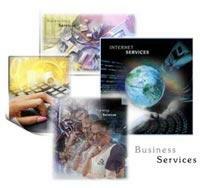 Innovative Business Solutions in a wide range of technology areas! An in-depth knowledge of various technology areas enables us to provide end-to-end solutions and services. With our Off-Shore advantage, we maximize the benefits of our depth, diversity and delivery capability, ensuring adaptability to client needs, and thus bringing out the most innovative solutions in every business and technology domain. Kaizen IT services' help organizations in maximizing their IT returns while optimizing their costs and adhering to the highest quality standards. Our IT services stretch across the full application life cycle right from planning, design, development to implementation, roll out and maintenance. We provide maximum business value while fulfilling your business imperatives by employing the right people, processes and technology. Our focus on the various industry domains has helped us in evolving service methodologies to deliver the best of breed technology solutions to meet the ever-changing needs of the financial industry. This in turn helps our clients to stay at the forefront of innovation while achieving their performance goals. If you have a project that’s just been given the green light and you need to move quickly to build a team, Kaizen can help you build the right team within a week.We’ll search our database for the skills you need, then we’ll screen the best candidates and introduce the top people to you. Our success lies in our ability to specialize so that we are strategically positioned as the leader within various cutting-edge technologies. Given today's ever-changing information technology environment and your focus on achieving multiple strategic initiatives, effectively managing your projects can be a challenge. Managing and leveraging the growing volume of business content is critical for companies large and small. Many businesses have adopted SharePoint because it provides enterprise-class collaboration and content management capabilities as well as a robust set of tools that can be used by non-technical users. However, following rollouts, IT organizations, department heads and line-of-business managers often realize that their implementations are not driving the maximum potential value. That’s where Kaizen comes in. Some of the world’s most prestigious healthcare, pharmaceutical, prestige beauty, retail, media and entertainment, governmental and educational organizations trust us to build and optimize SharePoint implementations that make a positive bottom-line difference. We have implemented a wide variety of SharePoint solutions for small teams and global corporations. Using best practices, we’ve implemented large-scale multi-lingual intranets, global extranets, corporate websites, knowledge management portals, business process automation, and intuitive social collaboration solutions across diverse industries and business functions. With the help of our SharePoint experts, your implementation will meet your strategic objectives and deliver better ROI. Our SharePoint consulting team can help you develop a comprehensive solution strategy that combines a scalable information architecture, a carefully crafted user experience, and a governance plan to facilitate user adoption. We can also help you enable ubiquitous access without increasing security risks. Whether you’re launching a new initiative or optimizing an existing implementation, we’ll help you meet your goals on time and on budget. Kaizen’s deep SharePoint expertise includes full knowledge of what’s available out-of-the-box, how to extend it for maximum benefit, and how to integrate it with other critical enterprise applications. Our SharePoint practice is a natural extension of our long history with Microsoft technologies so if you have SharePoint and other Microsoft technologies in place, we can help you make the most of those investments. Kaizen shares Client’s appreciation of math concepts and the type of content we are dealing with. Not only did Kaizen have a vision for an advanced SharePoint solution, its engineers had the skills and experience to implement it expertly. Kaizen acted as a strategic partner to help us shift our entire IT culture from reactive to proactive.